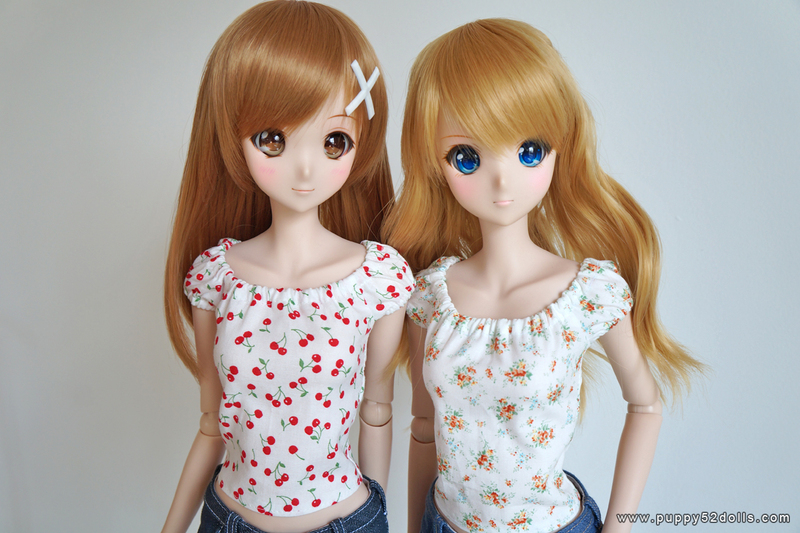 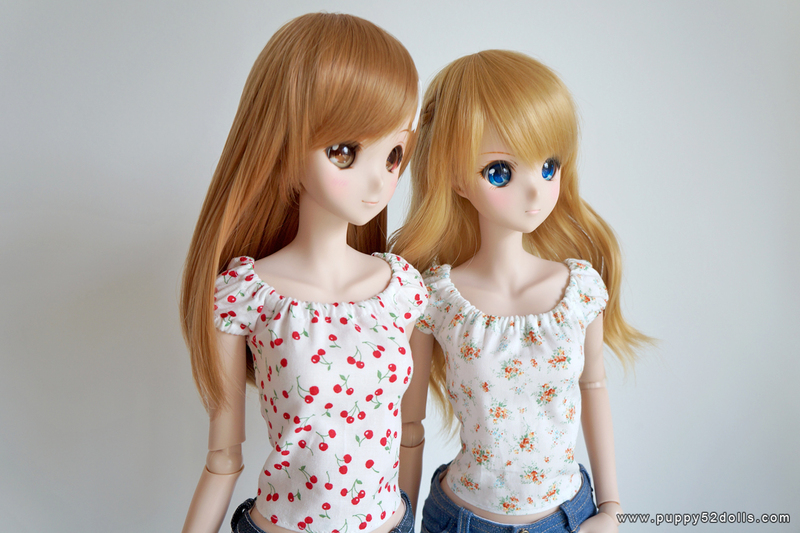 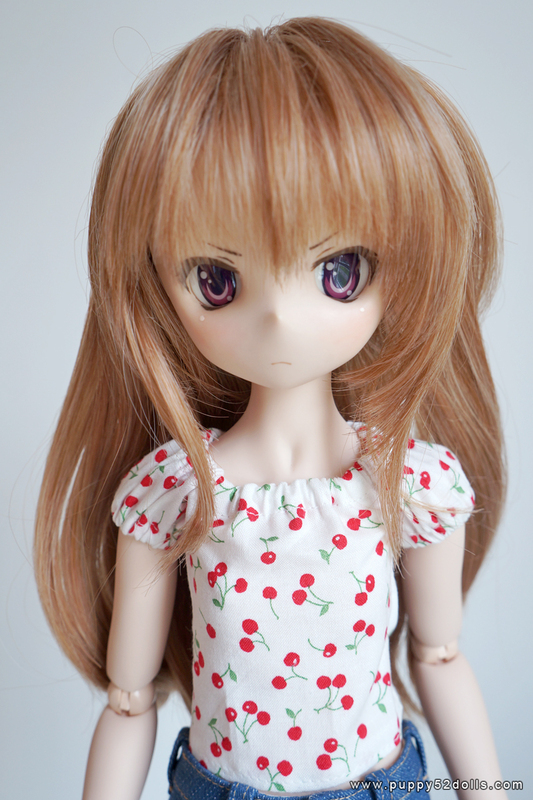 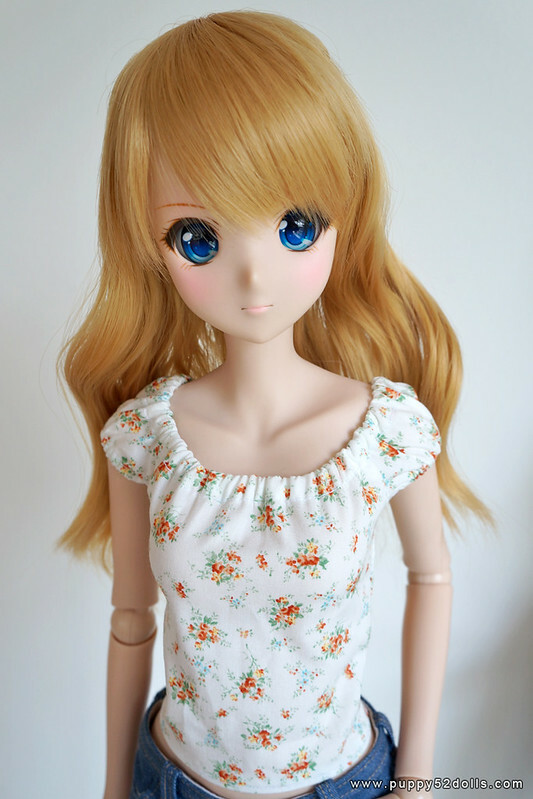 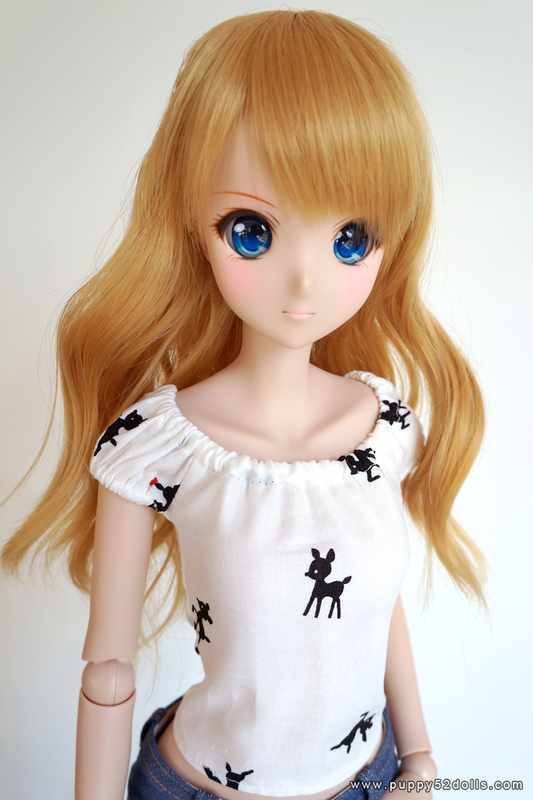 Below Aki in Dollfie Dream M-bust wearing the same blouse. 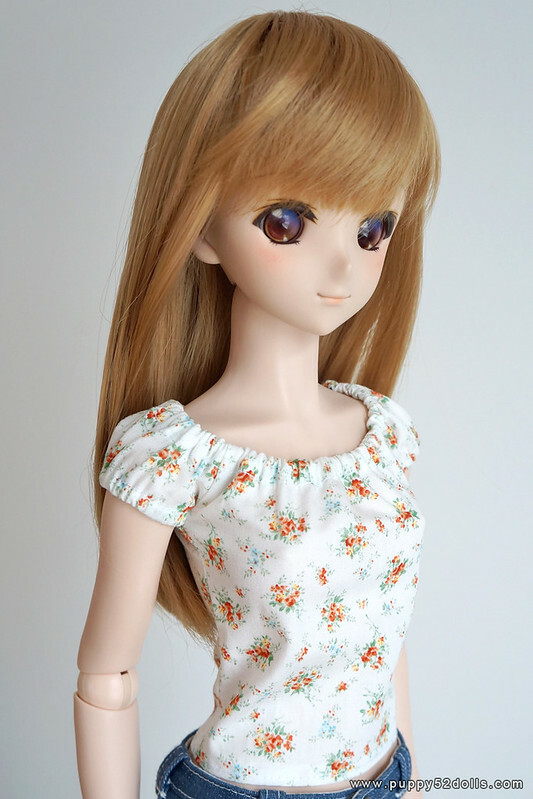 Below is another blouse I can make a few more of – if there’s interest. 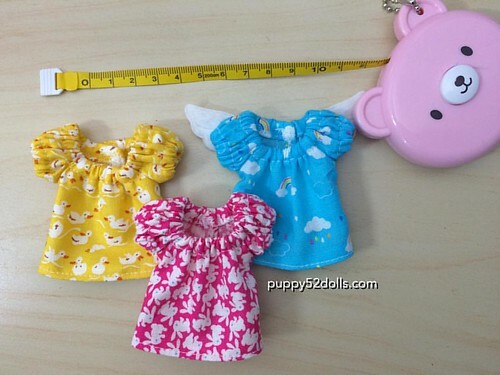 I managed to dig out another cute fabric I have, but this fabric the deer placement will differ every blouse, the black deers should not stain, but if you are worried, do not let your doll wear it for long periods without checking. 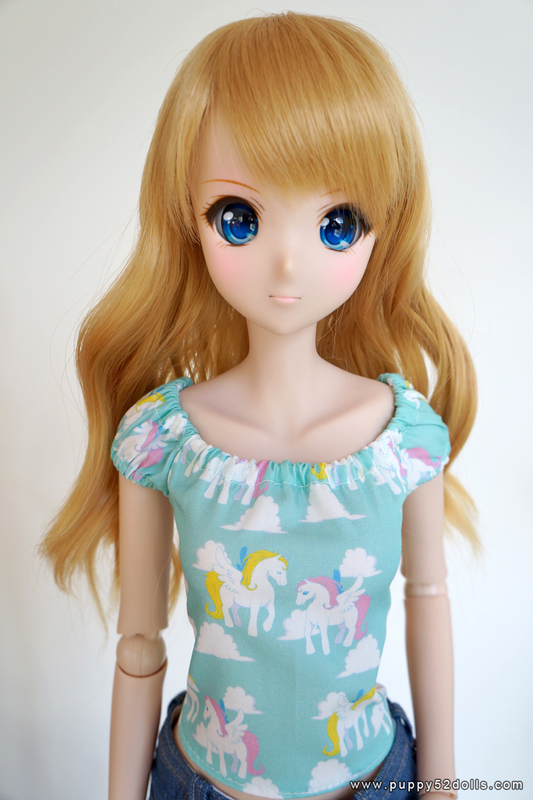 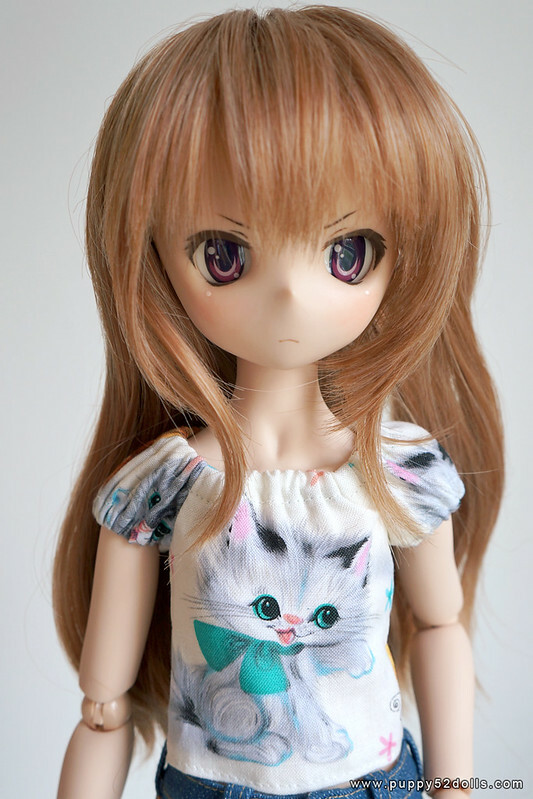 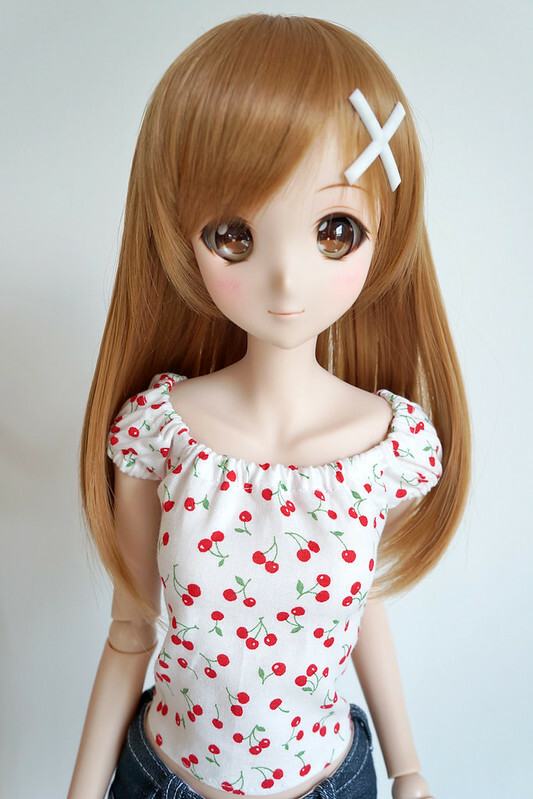 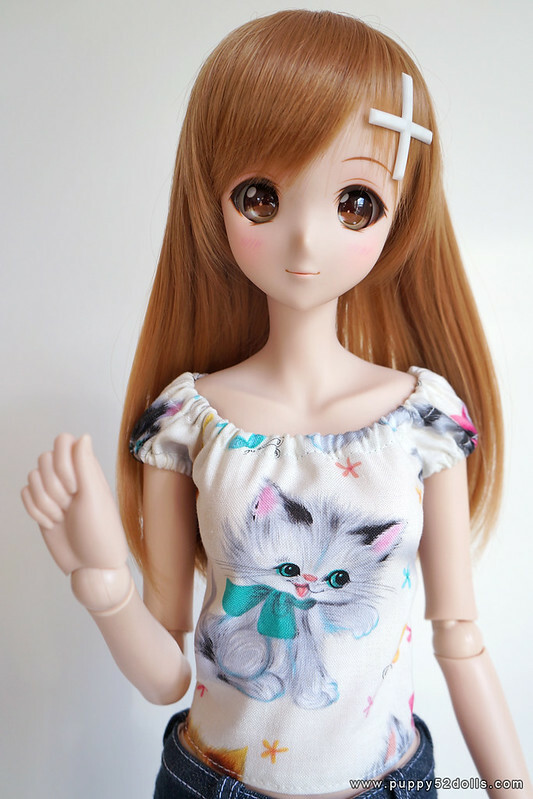 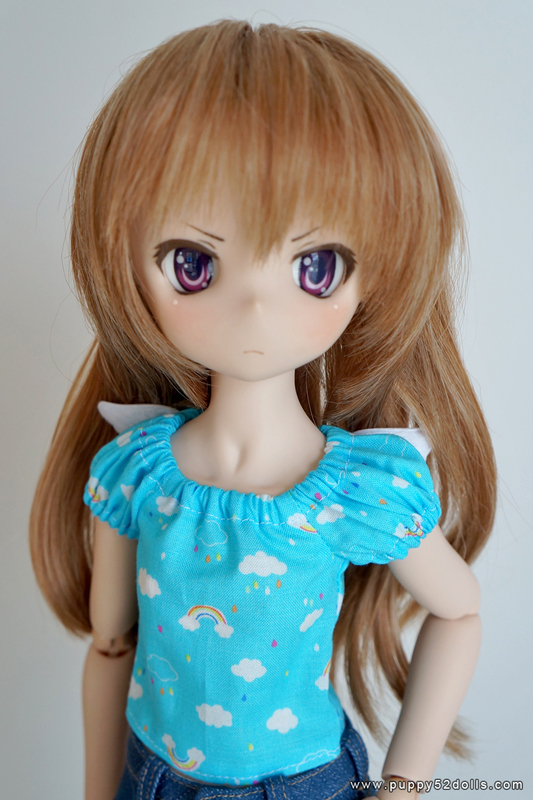 Below, Kizuna wearing a blouse made with the “My little pegasus” fabric I created :) I probably can make a few of this too, but if I run out, it will be a long wait when I order the fabric — everytime I order, it take at least a month to reach me, and I have to make it, etc etc.